Alcohol-based hand sanitizer in squeeze bottle. Silicone wrap also functions as adjustable belt loop. Flip-top lid. Available for shipment in contiguous US only (shipping to Alaska, Hawaii & Puerto Rico NOT available). Look great but not a fan of the smell! 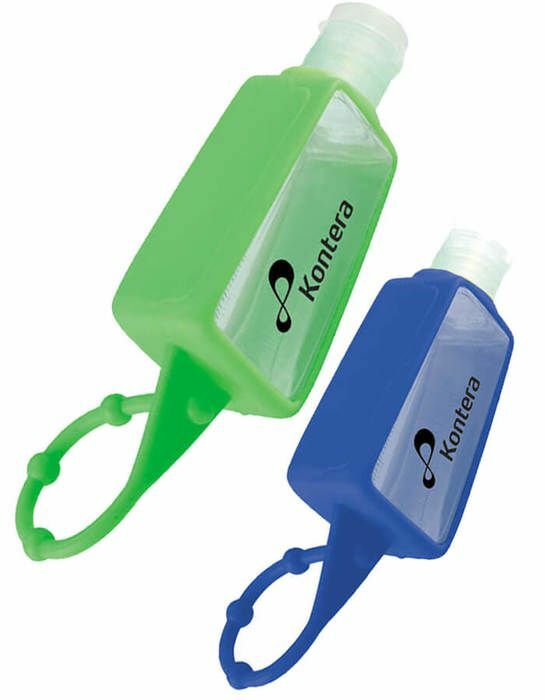 We ordered a large quantity of these as a tradeshow give-a-way. As far as a promotion goes the quality is pretty good, my only complaint is that the sanitizer has a different smell that I personally am not very fond of.